These expertly crafted salamis are made with hand-selected cuts of pork, old world spices, and are aged for over 21 days. 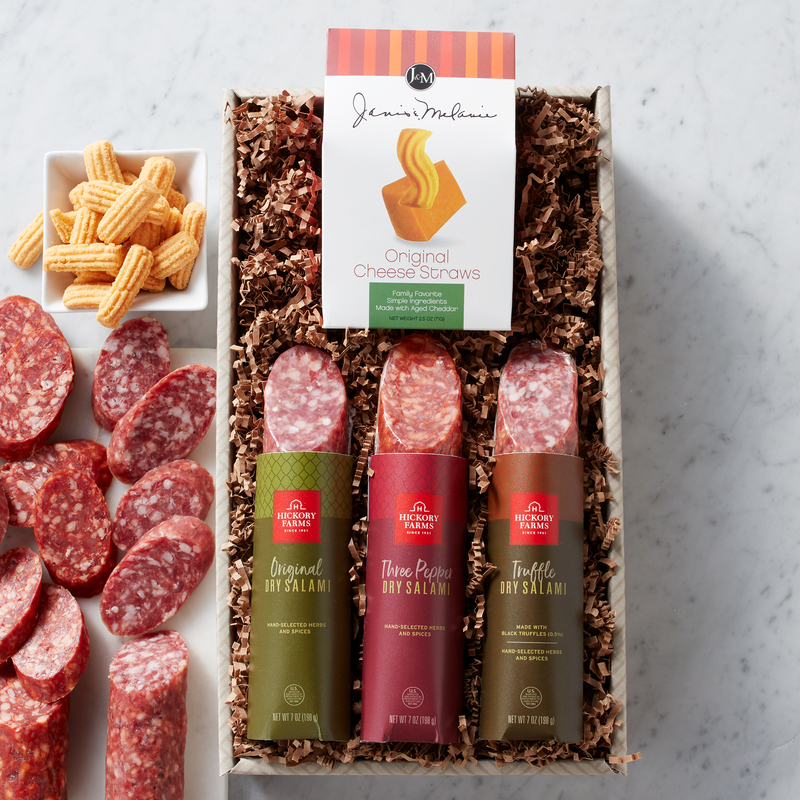 This flight includes a sampling of all three flavors: Original Dry Salami, Truffle Dry Salami, and Three Pepper Dry Salami, made with spicy white pepper, cayenne, and crushed red pepper. Then, it's finished off with some delicious cheese straws to add a little crunch to this savory collection. 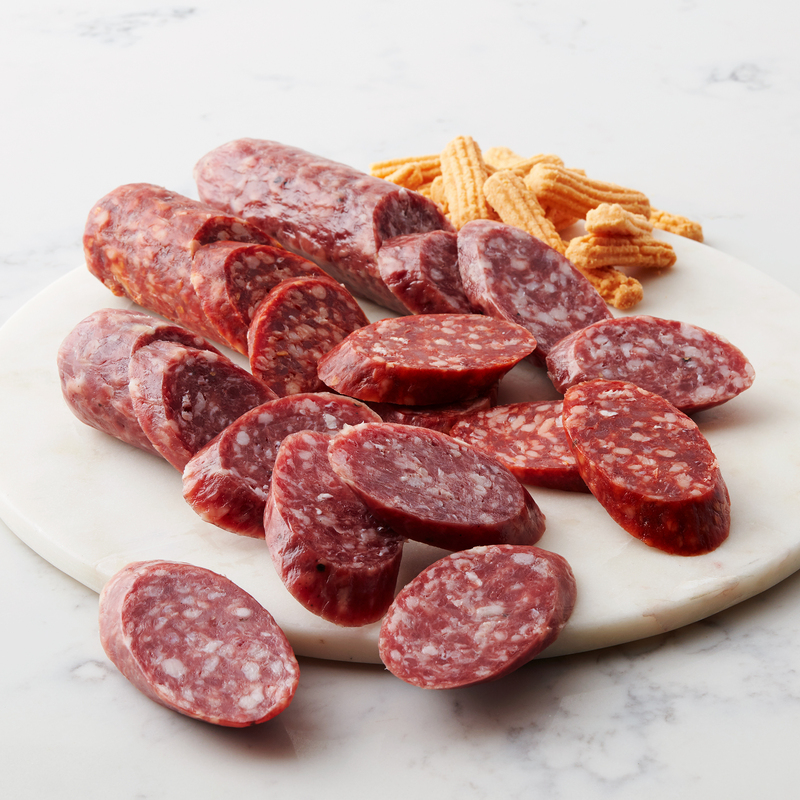 These salamis are delicious on their own or paired with our all-natural cheeses.